International Tank Service designs, fabricates and builds custom API 650 Brine Water tanks. The brine water stored in API 650 Brine Water Tanks can either be man-made or naturally occurring. Commonly brine water can be produced during well completion operations predominantly after the hydraulic fracturing of a well. Brine can be highly corrosive. Normally people use epoxy coatings and linings to protect their tank. International Tank Service can help you with these linings and coatings. Our tanks range in size from 30,000 gallons to 6,000,000 gallons. In addition to building API 650 Brine Water tanks, International Tank Service can help you with your API 653 Tank Inspections, API 653 Repairs and Modifications. 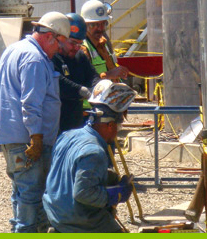 We also specialize in tank foundations, tank jacking, and tank leveling. 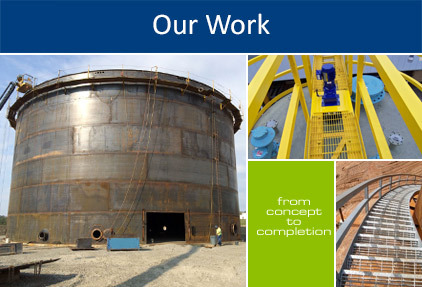 Call us today and let us know how we can help you with your next tank project.